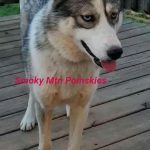 Smoky Mountain Pomskies will announce opening on their waiting list of Facebook and their website. 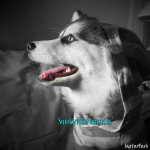 For a direct inquiry, you can contact Smoky Mountain Pomskies by email at smokymtnpomskies@gmail.com. 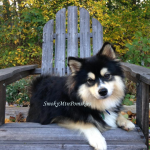 Smoky Mountain Pomskies range from $2500-$4000 depending on markings, eye color, coat quality, and conformation. 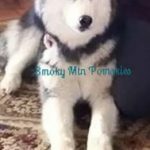 Smoky Mountain Pomskies will deliver your pomsky if needed. Delivery within the continental United States, the delivery fee is $500.00. 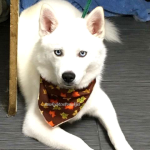 Smoky Mountain Pomskies also welcomes you to pick up your puppy at the Nashville airport. 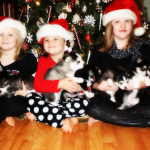 They will meet you with the puppy and a complimentary carrier at the airport. Ongoing client support by phone, email, and messaging. 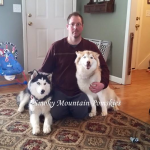 I was one of the first buyers when Smoky Mountain Pomskies began. I can assure you with 100% confidence that they are 100% legit. We bought Alaska a year and a half ago and it was an awesome experience. Jennifer stuck with her waiting list and answered any of my questions. 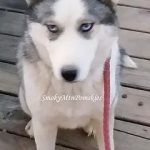 She took so much time and very good care of Alaska while she was in her care. 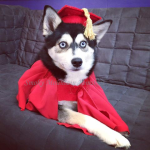 Alaska is an awesome dog, Pomskies are very smart and she was totally socialized when we got her. She is a healthy, happy dog. I would highly recommend Jenn to anyone. Anytime we get stopped while we are walking Alaska, I recommend Smoky Mountain Pomskies. 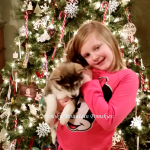 You will not regret choosing them as your breeder! 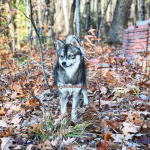 My husband and I both did extensive research before selecting Smoky Mountain Pomskies as our breeder and we could not be happier. The whole process was seamless and Jennifer kept in constant contact with us. Our puppy came home healthy, well-adjusted and had clearly been properly socialized. We love him dearly! We continue to communicate regularly with Jennifer. 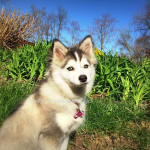 She is a fantastic breeder with high ethical standards. If you have any questions or would like more information, just let me know. It took me 13 years to convince my husband to get a dog and he absolutely loves our Pomsky. I say, Go for it! 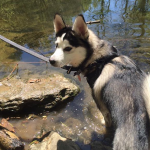 I can 100% vouch for Jennifer Turner at Smoky Mountain Pomskies and the fabulous dogs that she breeds. We have had Gracie since April 2016. I flew down to Nashville picked her up. Everything went perfectly as planned. She’s smart and loving and gets along great with both our other dog and our cat. Any questions, please ask!